The Irish Institute of Training & Development (IITD) is the professional body representing members involved in or concerned with human resource training and development in Ireland. Members work in all sectors – business, industry, consultancy, voluntary, public sector, education and the community. Founded in 1969, the Institute’s members are organised through a National Council and a number of regional networks. IEMA is the largest environmental professional body, providing environmental practitioners with the knowledge, skills and tools to ensure sound environmental performance delivers real business benefit. 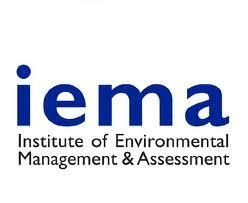 IEMA helps their members to make a strategic environmental difference by embedding environment in decision-making at all levels through knowledge exchange, research, conferences, training and publications. The Association of Energy Engineers (AEE) is a source for information and networking in the dynamic fields of energy engineering and energy management, renewable and alternative energy, power generation, energy services, sustainability, and all related areas. 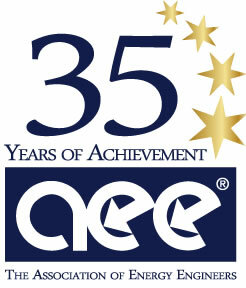 As a growing non-profit professional association, AEE’s overall strength is augmented by its strong membership base of over 14,000 professionals in 83 countries and its widely recognized energy certification programs. AEE’s mission is to promote the scientific and educational interests of those engaged in the energy industry and to foster action for sustainable development. The Society of Biology is a single unified voice for biology, advising Government and influencing policy, advancing education and professional development, supporting their members, and engaging and encouraging public interest in the life sciences. The Institute of BioLogy of Ireland is the professional body for biologists in Ireland. The Institute provides a forum for debate on the present structure and future development of the biology profession in both domestic and international context. The Institute is also a founding member of the European Federation of Biotechnology and the European Countries Biologists Association (ECBA). Engineers Ireland have been representing the engineering profession since 1835, making it one of the oldest and largest professional bodies in Ireland. Engineers Ireland is the voice of the engineering profession in Ireland with almost 24,000 members coming from every discipline of engineering and ranging from engineering students to fellows of the profession. 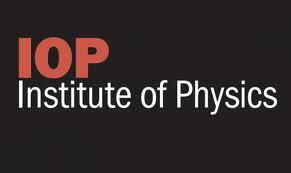 The Institute of Physics is a leading scientific society promoting physics and bringing physicists together for the benefit of all. It has a worldwide membership of around 40,000 comprising physicists from all sectors, as well as those with an interest in physics. It works to advance physics research, application and education, and engages with policy makers and the public to develop awareness and understanding of physics. The Royal Society for the encouragement of Arts, Manufactures and Commerce: an enlightenment organisation committed to finding innovative practical solutions to today’s social challenges. Through its ideas, research and 27,000-strong Fellowship it seeks to understand and enhance human capability so we can close the gap between today’s reality and people’s hopes for a better world. The Society of Photo-Optical Instrumentation Engineers (SPIE) is an international professional society for optics and photonics technology advancing an interdisciplinary approach to the science and application of light, founded in 1955. The not-for-profit society advances emerging technologies through interdisciplinary information exchange, continuing education, publications, patent precedent, and career and professional growth. The society publishes peer-reviewed scientific journals, conference proceedings, monographs, tutorial texts, field guides, and reference volumes in print and online. The Passive House Institute was founded in 1996 by Dr. Wolfgang Feist. As an independent authority, the Passive House Institute tests and certifies products in relation to their suitability for application in Passive Houses. Products which are issued with the “Passive House Suitable Component” certificate are tested according to uniform criteria, comparable in terms of their specific values and of excellent energy-relevant quality.